Howard/Folsom short term improvements continue. 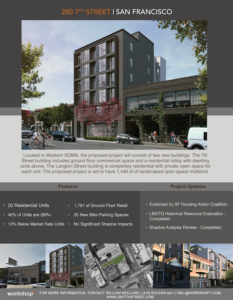 280 7th street, is a new development which should be in planning dept next month for approval. 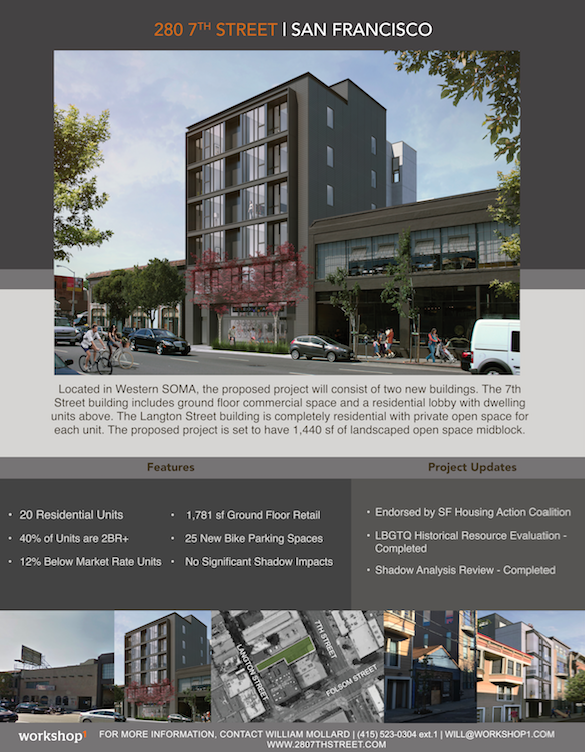 See attached flyer for project overview – Langton st neighbors William from workshop1 indicated that outreach has been done and neighbors are happy with design. He did say they stepped down the Langton st. side to not block windows at the Langton/Folsom building right next door. Though they had originally planned parking that has been removed, it will also have some 3 bedroom units, and these are not rentals all are for purchase. 2 units will be BMR.